Get your message out there with a stylish Folding Banner Stand. 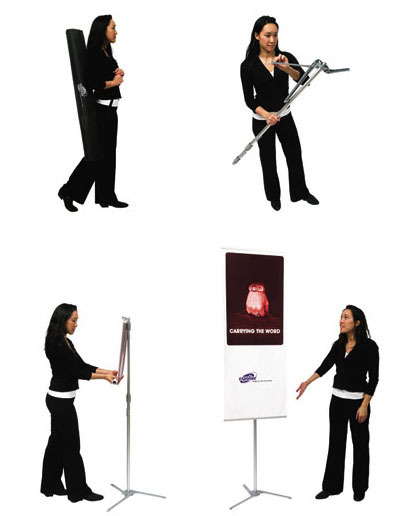 The Go Getter Folding Banner Stand system is easy to setup and sleek. 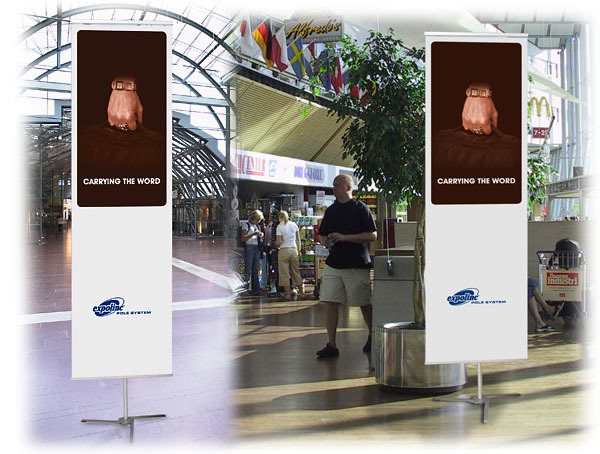 The Folding Banner Stand is ideal for shopping displays, tradeshows and public places. 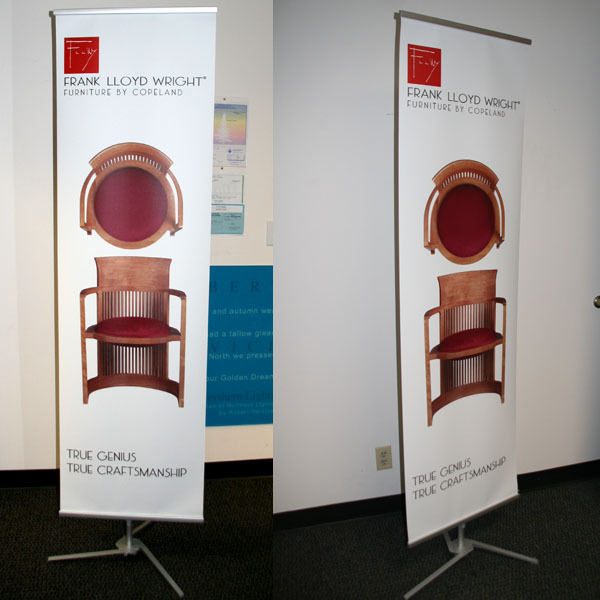 This curl free digitally printed Folding Banner Stand is sure to impress!